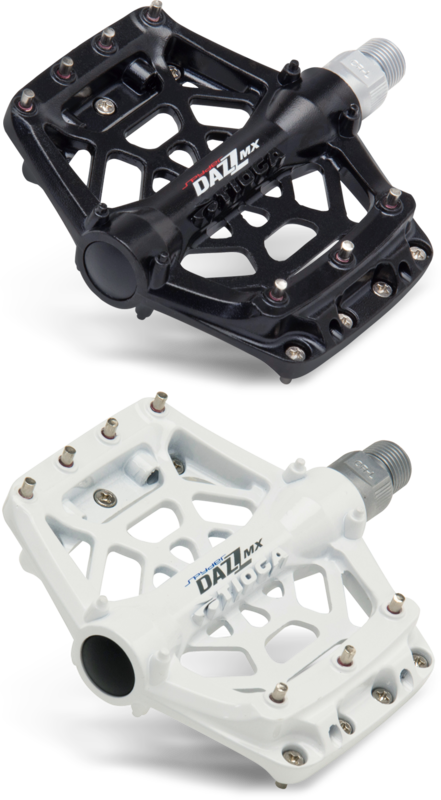 Function and value defines the DAZZ pedals. 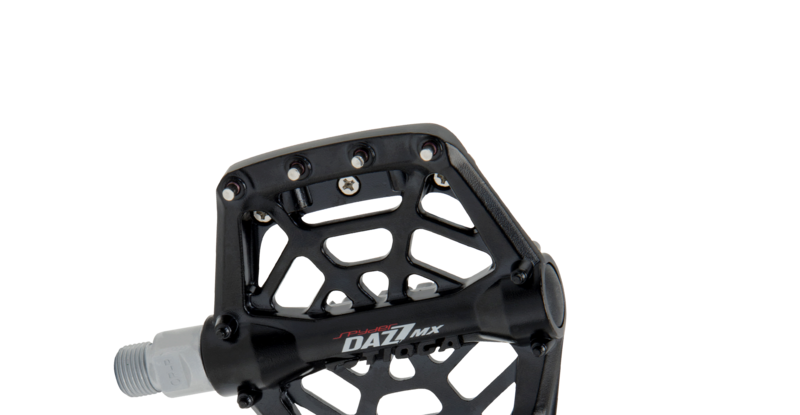 The DAZZ MX is designed with a smaller platform for junior MTB, BMX, or any application where a more compact pedal body is desired. 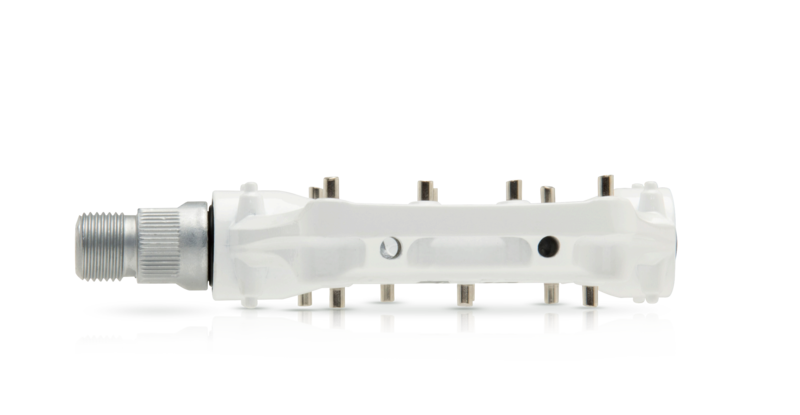 Die-cast alloy body spinning on smooth 2DU Double Bushing System performs better than most pedals in its price class. 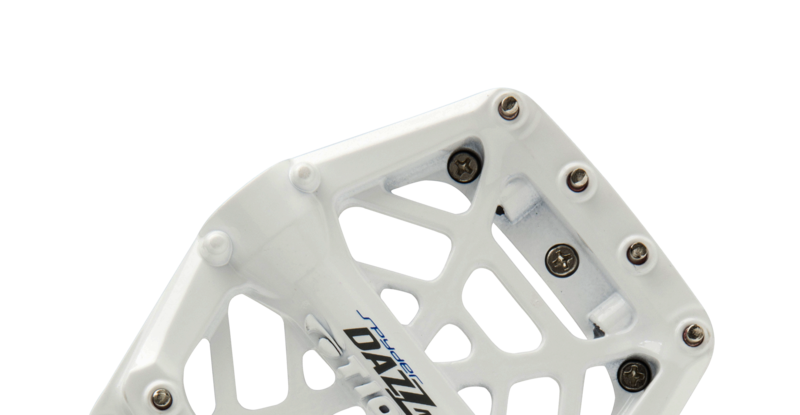 The DAZZ MX represents our ideal balance of function and value.